How are textiles used in functional ways? Student will be able to expertly describe a wide variety of functions of woven textiles both in the past and in the present. Describes ways in which weaving is used in a cultural and/or consumer context. 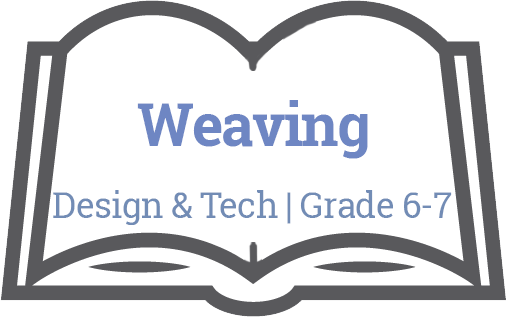 Describe a warp, first cross, weft, and shed. Construct a finger woven piece (ex. mini Métis sash). Experiment with creating a variety of patterns. Textiles have a variety of purposes. Textiles can be made to look visually distinct with patterns. > Choose a design opportunity. > Identify criteria for success and any constraints. > Generate potential ideas and add to others’ ideas. > Identify and use appropriate tools, technologies and materials for production. > Make a plan for production that includes key stages, and carry it out, making changes as needed. > Decide on how and with whom to share their product. A range of uses of textiles. A variety of textile materials. A hand construction techniques for producing and/or repairing textile items.